There’s a reason Oregon is called Beervana. 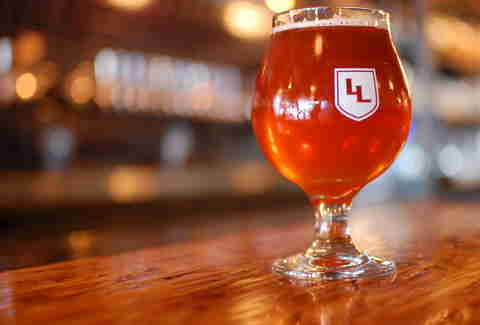 Portland, and the rest of Oregon, is famous for its beer culture. Even our grimiest dive bars boast local IPAs and stouts on tap. But if you want a truly fantastic beer experience, there are a number of pubs, tap houses, and restaurants around town to sate your thirst. So without further adieu, here are the best of ‘em. Alongside The Horse Brass and some now-defunct spots, the gastropub Produce Row was one of the most important bars to help launch the craft brew scene. Since its heyday as the homebase for the Brew Crew, it’s been renovated, renovated again, closed, and reopened, but it remains a staple taphouse. It’s also responsible for the first dedicated boiler maker list in the city, and still serves those excellent beer and whiskey pairings, along with great cocktails and some of the best bar food around. Beer Mongers feels more like your friend’s furnished garage... if your friend happened to be a beer nerd... with a seemingly endless amount of disposal income. 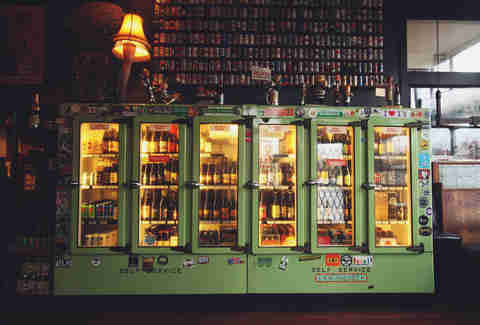 BM is a friendly, neighborhood bottle shop with some beers on tap, and considerably more in the refrigerators that line the small, cozy space. The staff is knowledgeable but approachable and the rotating selection is always exciting, with far more than just your average IPA on tap. Don’t come here looking for dinner, but feel free to bring your own. The best German bar in town, hands down, Prost! 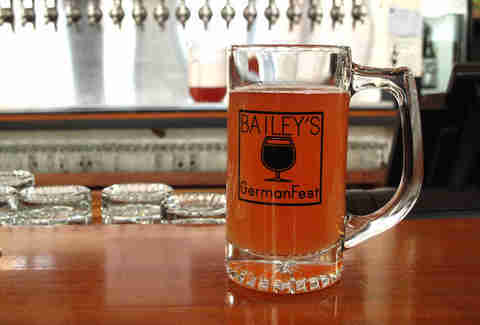 serves German and Austrian lagers and ales, as well as snacks like sausages, pretzels, and pâté. 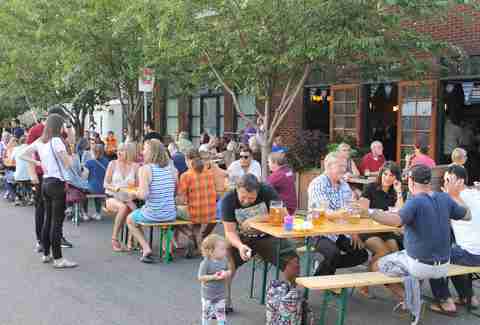 Come summertime, the patio is a nonstop party, with a liter mug shattered each day from enthusiastic toasts to the beer, the summer, friends, and whatever else. If the liter isn’t big enough for you, there’s always the boot, a massive glass meant to be shared. Please share. From the same folks who brought you Prost! comes Stammtisch, which is a lot like Prost! (a good thing) only much more of a restaurant with a full menu and extra table seating. 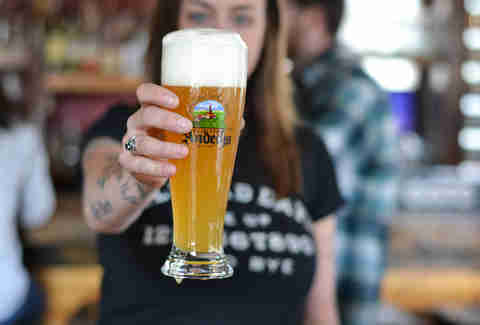 It’s also in Northeast, rather than NoPo, for those who don’t want to travel up to Mississippi for an Oktoberfest bier. It’s namely a mussel restaurant and cocktail bar, but that doesn’t stop La Moule, the stylish spot from bartender Tommy Klus, from having the best Belgian beer selection in the city. 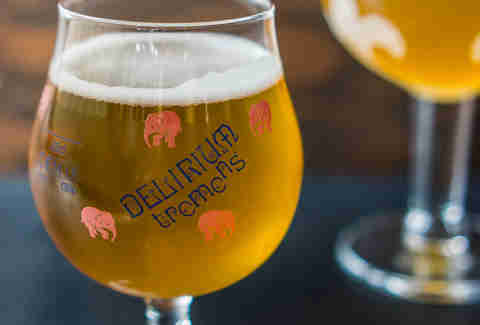 After all, what goes better with mussels than a good tripel or Unibroue? The list might not be huge, but it’s filled with beers that are nigh impossible to find elsewhere in the city -- or even the state. 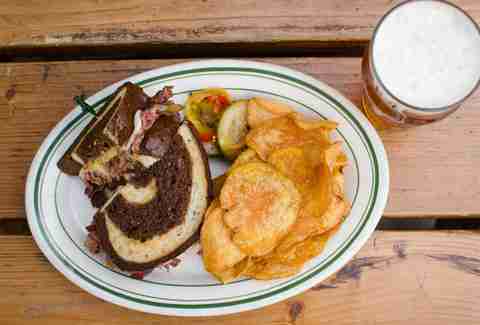 The Horse Brass is Portland’s most authentic English pub. The late owner Don Younger was integral to launching the Oregon microbrew scene, carrying many breweries back when they were barely even considered micro. Nowadays, the bar still boasts one of the largest tap lists, with 20 ounce Imperial pints and a number of hand-pumped, cask-conditioned ales. Darts are free to play, and the food is British... try the fish and chips. It’s the best in town. It’s cramped and busy, especially on weekends, but Bailey’s is the best beer bar downtown, with great beers and excellent service. It’s made even better when you realize you can order Mexican food from across the alley at Santeria. The only downside is that you can’t carry your pints over to Mary’s next door. Saraveza always feels like a party. It’s a small, busy bottle shop and taproom with Midwestern-style pasties (the food, obviously, not the burlesque adornment) served by some of the most tattooed workers you’ll find in our very inked city. Every second Monday of the month is Free Bacon Day. We’ll let you find out what that means yourself (hint: free bacon). Ninety-plus Oregon beers on tap sounds like an amazing idea, until you start to consider how the hell they can keep that many lines clean and that much beer fresh. Other mega-tap bars have tried and failed, but that’s why Loyal Legion devotes an entire page of its menu to describing the decontamination process, which includes weekly cleaning, shorter lines, colder temperatures, and quick turnover. 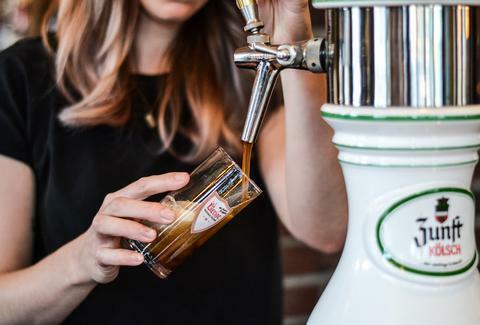 So relax and enjoy Oregon beers of every sort, a prodigious whiskey selection, and house-made sausages from the kitchen, all in a beautiful wooden and copper bar. Nestled in the often-overlooked Hollywood neighborhood, The Moon and Sixpence isn’t as busy as other beer bars in the city, which means it’s rarely crowded. Beers on cask and draught, hearty English cuisine, and a cozy, family-friendly atmosphere make this pub in the truest sense of the world: a public house. Concordia Ale House is a great taproom with a sizable list of mostly local draughts, but it’s an even better bottle shop. Over 120 options of styles and sizes fill the coolers here, and on Tuesdays select bottles are offered for $2 to $2.75. 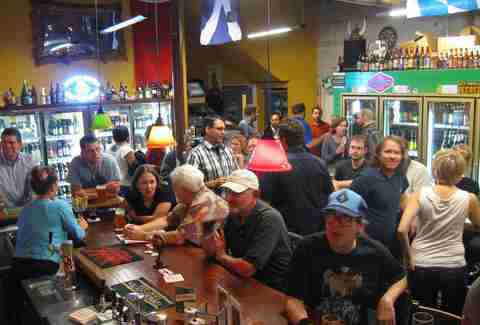 The Ale House features a full bar as well as a full menu, including lunch, dinner, and even a weekend breakfast menu. What really sets it apart from other beer bars is its entertainment: free pool, plus video-games, video poker, pinball, and sports regularly broadcasted on its big-screen TVs. It’s cash-only and the service can be snarky, but it’s impossible to deny the great selection of taps. The patio is filled from the minute Portland gets even a bit of sun and remains so the entire summer, regardless of the time of day. There’s no food served here, but guests are welcome to bring a bánh mì from across the street at Double Dragon, or grab a burrito just next door at the excellent Los Gorditos. The tap house scores bonus points for being the only one in town with a resident cat -- her name is Waffles, and she has her own social media tag, #whereiswaffles. Alex Frane is a Portland native who still loves his city. He likes cocktails and wine more than beer. Follow him: @franiacdrinks.